The word is taken from French (in which the word also means “massive”), where it is used to refer to a large mountain mass or compact group of connected mountains forming an independent portion of a range. 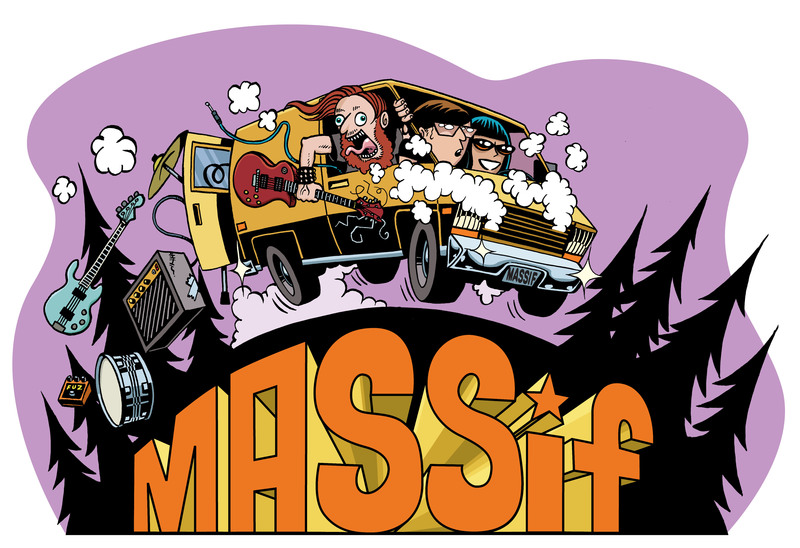 Inspired by hard working bands with big sound, we created MASSiF Festival, an inclusive, non-profit music festival with the sole purpose of bringing more rock, and more diversity, to the Kootenays. Massif Music Festival takes place in Nelson BC, on the land of the Syilx tmixʷ(Okanagan), Sinixt, and Ktunaxa. Founded in 2016, Massif Music Festival Society is a non-profit music promotion society with a volunteer board of directors who designate roles to volunteer committees. MASSiF Festival happens every year on the third weekend in September, at venues within downtown Nelson. MASSiF Festival is almost entirely supported by festival pass holders and community business sponsors and donations. All of our profits go to the artists. MISSION: To bring underrepresented music to the Kootenay region, within an intimate and unique festival experience designed to foster connections among artists and between fans, featuring a carefully curated line up of diverse, underground and overlooked musicians. VISION: A regional music festival featuring acts conscientiously chosen to represent diversity within the underground music scene. – Create a supportive festival opportunity for women and non-binary artists. – Provide local bands and aspiring Kootenay musicians a place to be inspired and to perform. – Expose rural festival-goers to music not otherwise available in the Kootenay region.